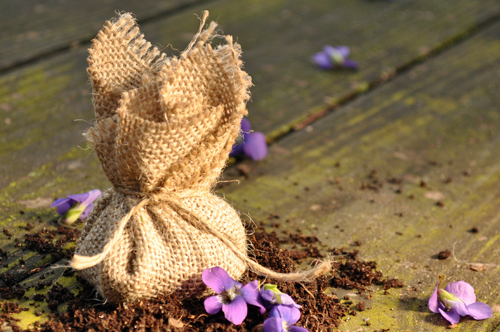 Flower pockets are a fun spring project and provide plenty of blooms all summer long. The pockets look sweet, and get buried directly in the soil! Better yet, even the littlest of hands can help make them. And I know these same littlest of hands will love giving them to teachers, grandparents, neighbors and friends. They make a great little gift-for-no-reason. 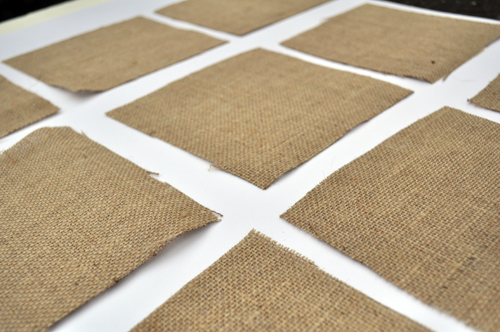 Step 1: Cut burlap into 6.5” squares. 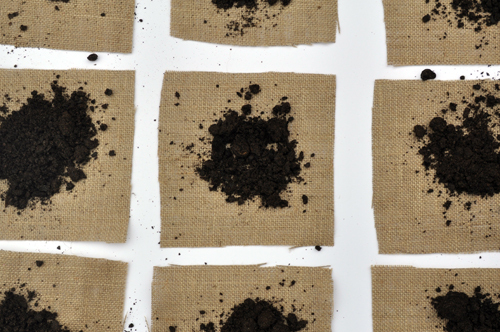 Step 2: Put a small handful of potting soil on each square. 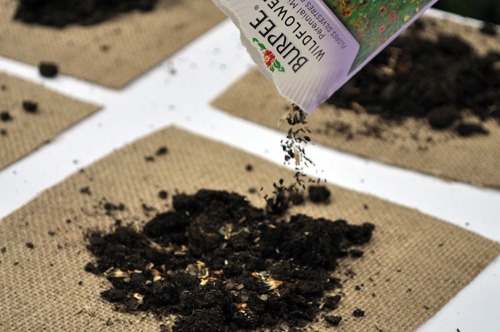 Step 3: Liberally sprinkle seed mix onto potting soil. 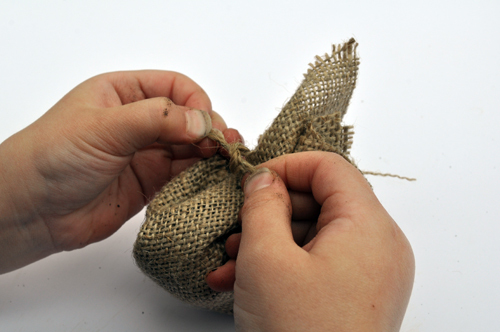 Step 4: Gather the edges of the burlap up and tie shut with string. Step 5: You are done! 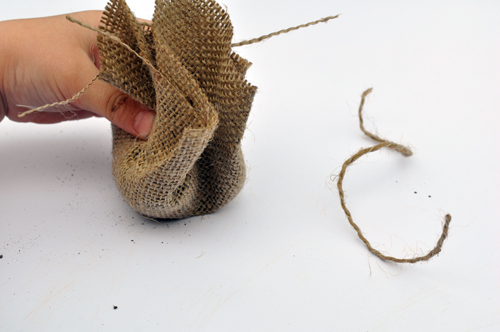 Bury the whole pocket in the ground and the seeds will grow through the burlap. Warning: These little pockets are addictive to make. Happy planting! Picture Perfect. You have me wanting to roll our sleeves up! We’ve started seeds in little cups but never anything so pretty! In Sweden, we can’t plant until June 1 (frosty north!) but starting slips is necessary. I will definitely use this. Thank you! These would be fun to make and share with the neighbors or add to the kids Easter baskets. Love this. Super cute in an Easter basket! Great idea. This is such a sweet idea! I can see how they can become addictive. They would make a great favor at a garden party or spring soirée. Thanks for sharing! This would be the perfect favor for our outdoor/garden wedding!! Thank you! Love this idea! I bought a couple yards of burlap over the holidays to wrap around the base of our Christmas tree. Since then, I’ve been having so much fun using it up- I cut strips to tie around vases for a baby shower and have made a curtain for the laundry room. 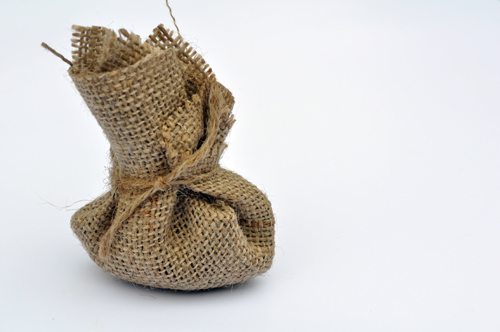 I think this will be my next burlap project! We missed potting microsprouts at my son’s preschool today due to his cold, so maybe we’ll try this instead! thanks- his grandmas and godmother will love them. 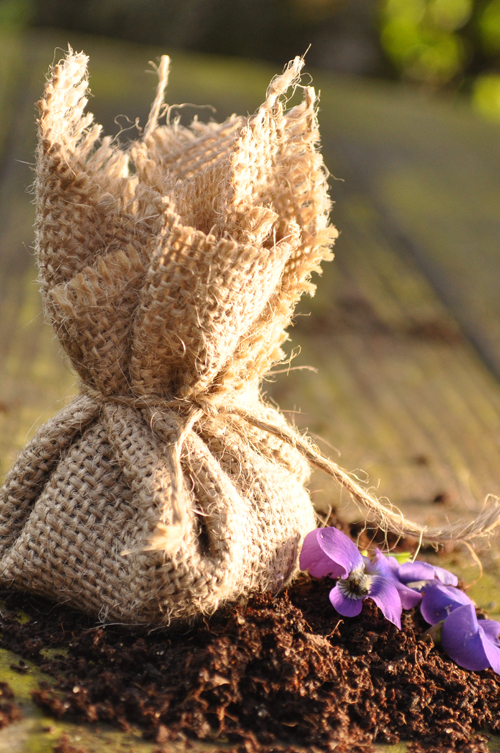 We’re giving away stamped muslin bags with seed bombs as our wedding favours. I’m thinking this will be a lot simpler! oh my goodness this is a way awesome idea- love it. Thank you all – I’m so pleased you all like our project. My girls and I had so much fun making them. I’m going to get myself very organized and make these with the kids when they’re off school next week so we can give them to all the aunts and uncles and cousins on Easter. Such a sweet idea! Wow Gabrielle thats so sweet! you are very talented Gardner! Can you teach me some more tricks for garden magic? Anyways keep blogging! Can you put these in a pot or do they need to be outside? Such a cute idea! What a lovely idea! I am going to make these for favors for my sister-in-law to-be’s bridal shower next month. The theme is April Showers Bring May flowers, with t shower in April & the wedding is in May. How perfect. Thank you! Hello amy i enjoyed very much your tips and great ideas crafts and more.I yoo love crafts and quilting and of course i’m writting a family and friends cookbook. IN my dads memory he passed awy from cancer.But i still need help find someone to print the cookbooks,with very little income.I ‘ve held many yard sales ,lots of my baked goods.and much more,but due to my health i’m not able to do hardly any thing.BUT I HAVE FAITH IN GOD,THAT SOMEDAY MY COOKBOOKS WILL BE OUT THERE AND EVERYONE WILL ENJOY IT. I struggle to think of any variety of seed that would do well planted like this. 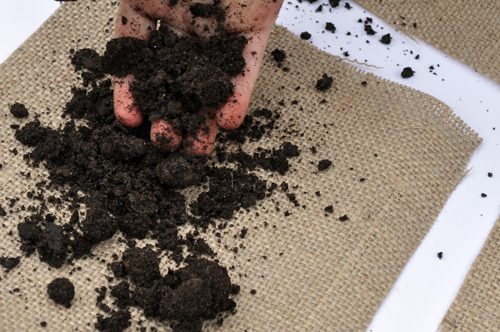 It is asking too much of a seedling to grow through that amount of soil and burlap before it reaches sunlight and is able to sustain itself. Lol, the most beautiful things are often those that have grown through a struggle. We have a lot to learn from these persistent little seeds. What a great idea !!!!! 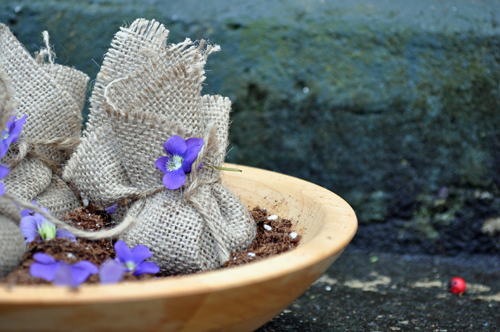 Can’t wait to try this and enjoy with my youngest one watching all sorts of flowers grow :) Thank You so much for sharing this lovely activity! The theme is April Showers Bring May flowers, with t shower in April & the wedding is in May. How perfect. Thank you! This is in reference to the cut flowers’ life being extended. With hydrangeas, I put stems over flame on stove for 30 seconds then put in water up to their necks and drape in wet paper towels. After an hour or so, I arrange. They last forever when I take the time to do this.